Looking for something from the immediate post-war period, with its we’re-on-a-postwar-budget trim styling, and its hey-look-I-have-integrated-fenders styling, but don’t want to go with the obvious Big-Three choices? Well, back in the early 1950s, there were still a decent number of smaller American manufacturers trying to keep going. And while senior Hudsons get the most attention for their upside-down bathtub styling and Twin-H power, the Jet has an interesting story of its own. 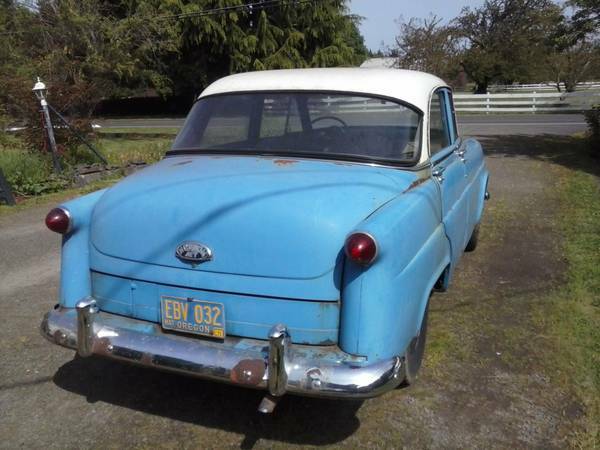 Check out this 1953 Hudson Jet for sale for $2400 in Eugene, OR. Wow, talk about frumpy styling, especially compared to the bathtub cars. Said to be inspired by the bland Fiat 1400 (why use that for inspiration? 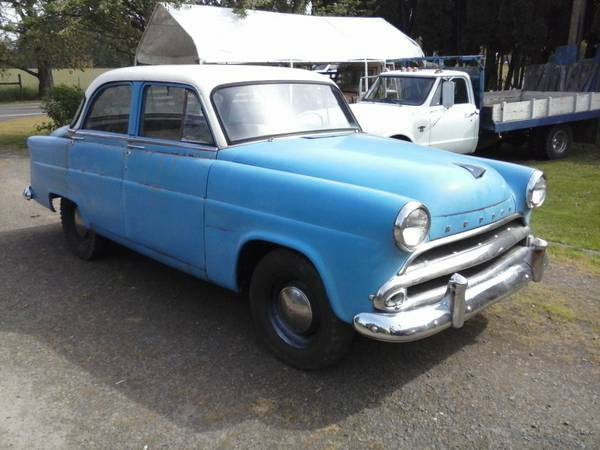 ), it also bears a resemblance to the Toyopet and Willys Aero. Company leaders mandated things such as a high roof to accommodate high-back seating and room for hat-wearing-drivers, as well as tail lights that aped contemporary Oldsmobiles. Fortunately, the car did have some things going for it, including a generous specification and better power than the competition, up to 114hp when equipped with the Jet’s own Twin-H Power intake. This car is said to run and drive, but to need further attention to become a daily driver. It’s already had brake work, tires, and a six volt battery, so hopefully that means you’re moving on to the debugging phase, driving the car and fixing issues as they arise. The other interesting Italian connection for this car is its function as the basis for the beautiful Hudson Italia. Ironically, the older senior Hudsons were sleeker than the newer Jet, and the car was only offered as a sedan, though there was a utility sedan with a pass-through from the trunk to folded-down rear seat. No wagon, coupe, or convertible were offered. 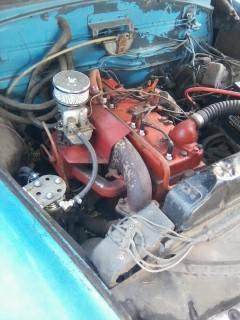 The engine is a 202 cubic inch flathead six-cylinder with a manual 3-speed transmission. When the rest of the industry was moving to overhead valve engines, Hudson lopped two cylinders off its 1932 inline-8 design to make their new engine. To make up for that, standard equipment was good, including a heater; before heaters were standard on luxury cars, they were standard on the Jet. There’s not much to see of the interior. 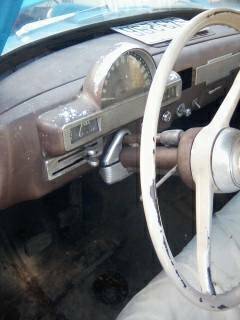 The steering wheel looks to be painted white, while the gauge pod, such as it is, looks tacked on to the dash. The car does have some rust over the rear fenders, and some paint issues on the side of the body, but generally appears to be a pretty solid car. If you’re actually looking for a driver, and don’t mind the frumpy styling – time to start wearing a hat and smoking a pipe – this might be a good, usable option, especially if you can pick up the optional Twin-H intake setup. This entry was posted on April 9, 2015 at 9:01 pm and is filed under Feature. You can follow any responses to this entry through the RSS 2.0 feed. You can leave a response, or trackback from your own site.